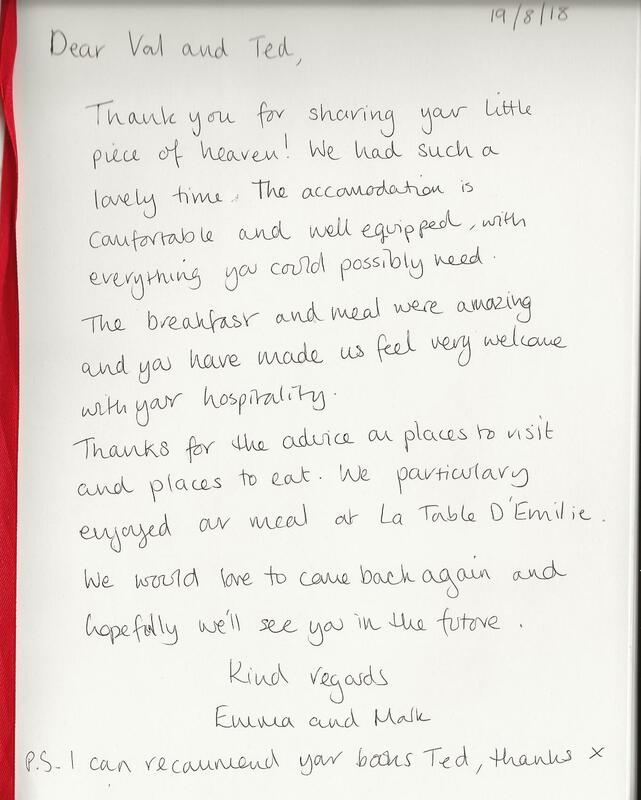 Mark and Emma had "such a lovely time"
Tim and Jan ... can't keep away .. back for summer 2019 too! The Ha-Ha's Enjoyed their stay so much they booked 2018 on the way home! We have been very happy in your house, and - over night - we thought that it would be wonderfull to come to Caunes-Minervois again i.e. last week of August and the first week in September 2018. Noella and Stijn another couple of returners, as soon as you have the dates let us know! Sue and Mike return visitors, We hope to see you again next summer! 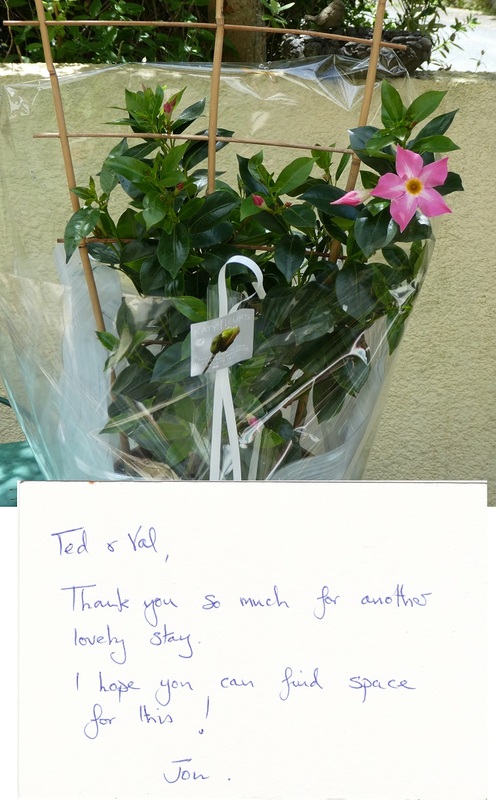 Dutch visitors Mark and Merei added an extra week to their vacation to come and stay at L'Olivette. Tim and Jan came last year .... and are booked for next summer too. 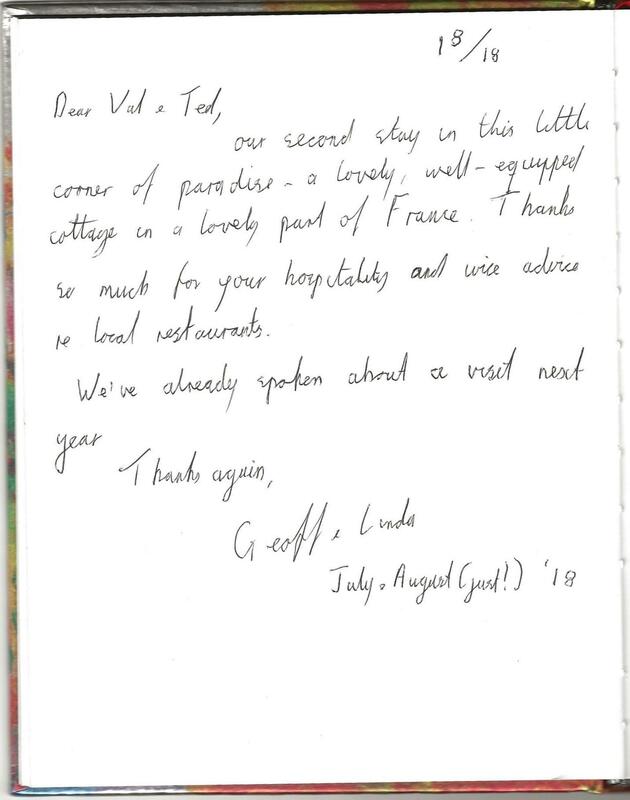 Gregg and Viv arrived all the way from New Zealand, it looks like enjoyed their stay too! 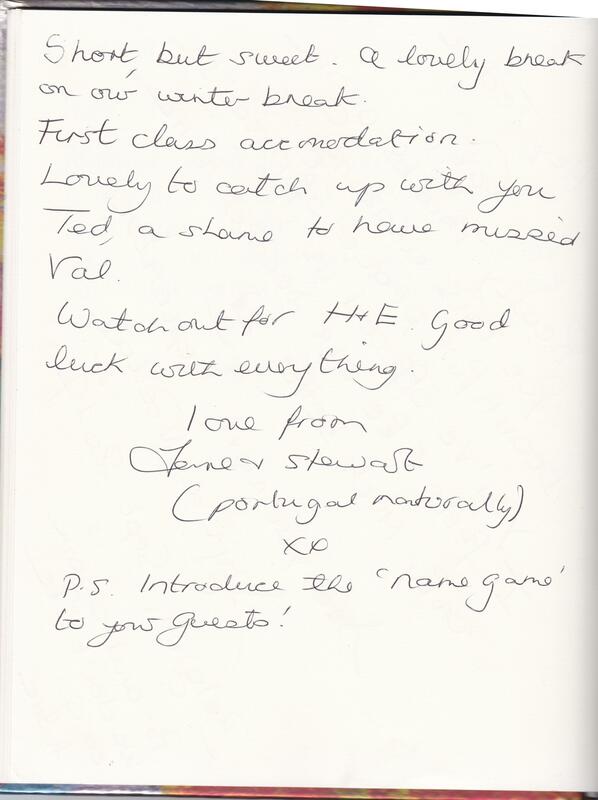 Marianne and Joop our first guest of 2016 - seem to have enjoyed their stay!